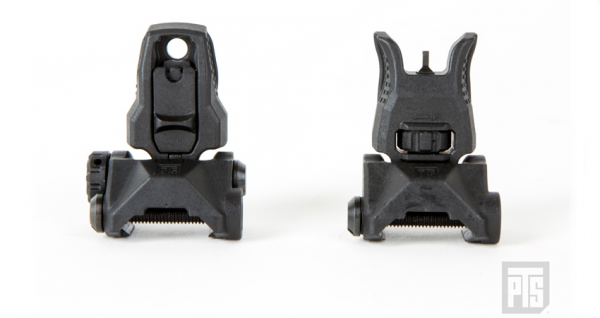 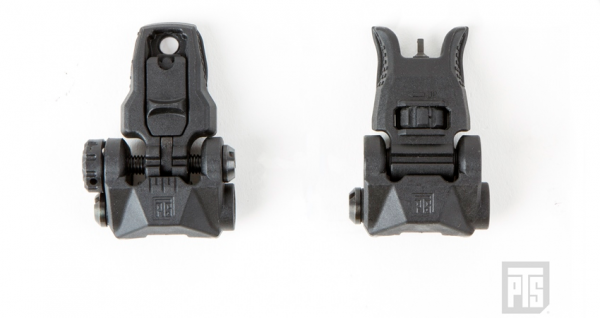 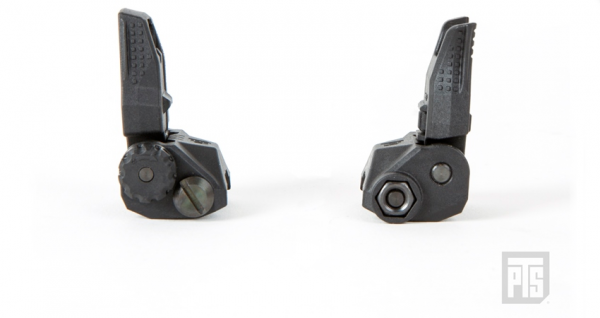 The Enhanced Polymer Back-Up Iron Sights (EPBUIS) are built with the PTS EP series standard Dupont™ Zytel High Performance Reinforced Polymer for a high quality product that is both durable and lightweight. 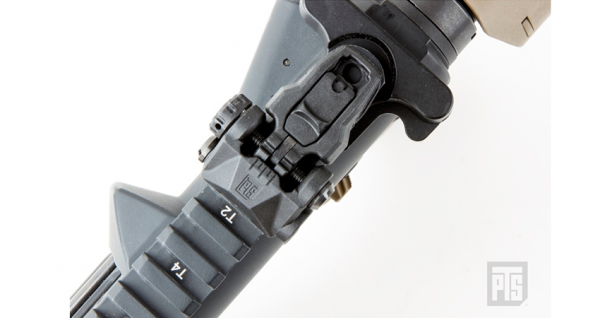 The EPBUIS consists of a low-profile, snag-free design that is unobtrusive when retracted. 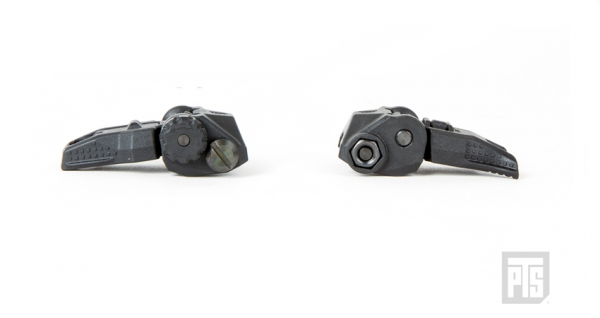 The aggressively textured surfaces on the sides of the sights aid in slip-free, positive manipulation under any adverse conditions that may affect grip.